Design Sprint with TeaCup Lab - Solve your business challenges with Google's 5-days process. Solve your business challenges with Google’s 5-days design process. The Design Sprint is a 5-days workshop in which team members work together to answer critical business questions. During the workshop your team will use design thinking techniques to generate new ideas and validate them with real users, reducing the development cycle and the risks of the decision taking process. Design Sprints fits companies of every size and multidisciplinary teams. The Design Sprint methodology has been developed by Google Ventures and is used by startups like Uber, Slack, Pocket or Nests to create better products and a profitable business. Tells us about your project and discover how a Design Sprint can help you to generate innovative products. 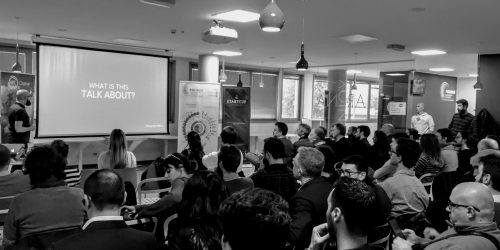 Why running a Design Sprint with us? We have been trained and certified by the Google sprint master Academy in Mountain View. We facilitated Design Sprints with more than 30 companies of all kind, from startups to big enterprises like KLM. We have been presenting and teaching Design Sprints in many Google events. Years of experience working in digital products for clients from all sectors. We guide your team through the whole process. We will obtain a prototype of your idea and test it with real users in only 5 days. Do you want to learn the Design Sprint methodology? Take part into one of our workshops where we’ll teach you how to apply Design Sprints to your projects and those of your customers. We create a personalized plan to implement Design Sprints into the processes of your company. KLM is one of the companies we help with Design Sprints. 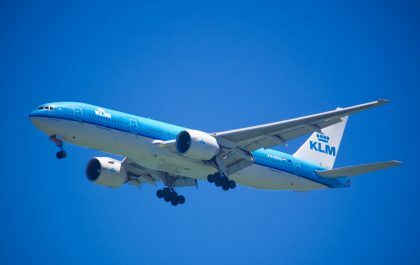 The Dutch national airline choose us to generate innovative products and services by using Google’s design methodology. Do you want to know more about Design Sprints? These are some of the blog posts we wrote on Design Sprints. Estas cookies recopilan información sobre como los visitantes usan nuestra web. Usamos esta información para crear informes y mejorar nuestra web. Las cookies recopilan información de forma anónima sobre el número de visitantes a nuestra web, desde dónde han venido y qué páginas han visto. Utilizamos estas cookies para conocer el idioma de tu navegador y poderte enseñar una web en tu idioma. Esta cookie sirve para que los usuarios registrados puedan iniciar sesión en la web.